Buyers Meeting Point - The Point - Webinar Notes: Top-Notch Negotiations – Anyone Can Cook! Central to Dr. Lunney’s message was the idea that the skills required for top notch negotiations are acquired over time and with effort. This means that absolutely anyone with the willingness to work can be a good negotiator. It does not mean, however, that it is easy. Negotiations require active preparation – in fact, almost every bullet point detailing the up front effort included a verb: prepare, know, learn, use, control, recognize, write, assign. 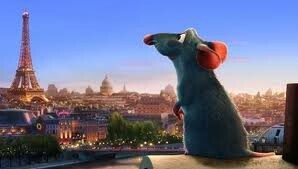 Dr. Lunney’s message reminded me of a charming animated movie, Ratatouille, in which a little rat living in Paris, France follows his heart's desire to become a chef (despite the obvious obstacles) in response to the philosophy that ‘Anyone Can Cook”. Preparing French cuisine using human pots and utensils was a challenge for the rat. He had a steep learning curve, and certainly did not succeed without the support of his team. I think many procurement professionals have felt small in comparison to the task at hand or the challenge that must be overcome. The greatest opportunity associated with each negotiation exists before it begins. It is true that information is power, but information gathered in advance of a negotiation has the most value because it provides the organization an opportunity to plan. It is also important to clarify that information and facts are not the same. Some information is subjective, and taking the time to validate it in advance prepares the negotiator to use it to justify requests, motivate other parties, and create possibilities. The idea of collaborative versus win-lose negotiations may stem from the psychology of the negotiator. A negative approach is more likely to result in a win-lose negotiation, while a positive approach is more likely to be collaborative and include techniques such as bargaining, effective communication, and joint problem solving. The opening tone of a negotiation also reflects the mindset of the negotiator. Remember to establish control early on by using strong terms (need, must have, it’s essential) rather than weak ones (like, prefer, targeting, looking for). The fact that careful preparation is so critical to a successful negotiation favors professionals that do not consider themselves natural negotiators. Overestimating one’s relative leverage or skills can be incredibly damaging in a business climate where information is readily available to all parties. In addition to this, the preference for collaboration – especially with strategic suppliers – requires that a tone of respect be present even in advance of a contract. Do you consider yourself a natural or self-made negotiator? What level of preparation do you regularly invest in before entering a negotiation? Do you believe it is true that anyone can ‘cook’? Share your thoughts by commenting below or by connecting with us directly on LinkedIn, Twitter, or Facebook.